My journey started on February 9th when I left Oregon for Argentina. I had never been out of the country before, so I was very excited, and a little nervous. My first stop in South America was Santiago, Chile. That was completely nerve wracking for me because I knew very little Spanish, and almost missed my flight to Cordoba because I didn’t know where to go. However, I did make it to Argentina and it’s been a wild month and a half so far. My first week was spent in a hostel, with two other exchange students. Vini from Brazil, and Anthony from New Zealand. I happened to be extremely lucky because we clicked automatically, and it was nice to have each other because we were all going through the same rapid changes. Also, our hostel was in the center of Cordoba so for us to be on our own for a week was really exciting. Especially for me because I come from a city of just over 6,000 people, and Cordoba has around 1.2 million. 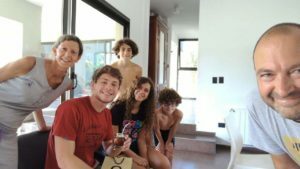 The first week we were with the local program in Cordoba, learning the language and culture before we went to our families. Anthony would go on to stay in Buenos Aires, Vini in Port of Madrid, and I would stay in Cordoba. To be honest there is a ton to write about, so I’m going to start with the important things. I will start with the food. They cover everything in Dulce De Leche, which is pretty much a way better caramel. And when I say everything, I mean everything. They eat it with fruits, crackers, toast, and cakes, and pies. For breakfast, afternoon snacks and dessert. My personal favorite food here is Asado. It’s basically a giant BBQ spent with family and friends on most Sundays. The meats are amazing, and there are many types. My Spanish isn’t the best yet, so when my family told me I was about to eat blood sausage I just smiled and nodded. Completely didn’t understand at all until I ate it and they started laughing afterwards. To be fair though it was amazing, before I knew what it was. Mate is also huge here. It is a drink, usually passed around with a group of people and everyone drinks it here. It’s not an exaggeration either, literally everyone drinks it at any time of the day. It has similarities to green tea, but is a lot stronger and takes a while to get used to. I love drinking it now. The language is not what I expected either. I knew they spoke Spanish, but it is a mixture of everything. Argentina pronounces their double L’s with the “shh” sound instead of the “yah”. They also have a very high number of immigrants from Europe, so their Spanish is mixed in with other languages. Before I left, I learned a little Spanish from Spain and upon arriving, I realized that many words and expressions are different here. At first, I was very nervous because I wanted to communicate with people, but I have now realized that I will learn with time. In the month and a half I have been here, I feel as if I have learned more Spanish than the two years of Spanish I took back home in school. Uniforms are required, and teachers move to classes instead of the students. So, I stay in one class all day, which is very different for me. My family here is amazing, I couldn’t have asked for anyone better. I live with my host mother Ceci, my father Darrio, sister Luana, and little brothers Faustino and Cristobal. I was very relieved to find out we have similar tastes in music, movies, and humor so I couldn’t have asked for a better fit. We live in La Calera, which is a suburb of Cordoba. Cordoba as a city is amazing. My favorite things from here is their soda called “Pritty”, and the weather. It’s always hot and sunny, which is amazing for me. Dogs and horses just roam around in the streets here which was really weird to see. There are a ton of beautiful churches and cathedrals in the city. I also have to take the bus everywhere, which shouldn’t be too thrilling for a normal person but I love it! It’s so weird for me to live in such a big city. … and I joined one of them right away and made my first friends here through football. Everyone is welcoming, and I’m just happy to be playing my favorite sport again. 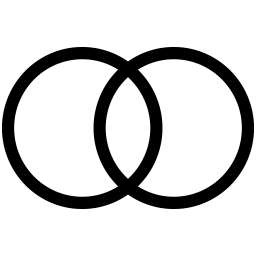 Some honorable mentions that should be mentioned before I wrap this up are the metric system, and roman numerals. Each of these things I had no idea how to use, but quickly picked up and I think it’s going to be pretty useful when traveling to other countries in my future. Celsius too! Breakfast here is very small, usually medialunas and mate. That took a while to get used to because of how big breakfasts are in America. And dinners are usually big meals here and eaten very late around 10 or 10:30. I happened to bring a pair of orange crocs down here as a joke to wear instead of sandals, and they are absolutely horrendous. However, the joke wasn’t too funny because everyone here wears crocs, so I fit right in! The last thing I want to add is that the driving is insane here. I have my license and have been driving for almost two years, but I would never be brave enough to get behind the wheel here. The roads are very small, and it is an eat or be eaten attitude. All the cars are manual here too, automatic is very rare! I know this is a very unorganized summary but it’s so hard to list all the changes in a short way! I hope you enjoyed! Learn more about the ICES Study Abroad programs available for American students. 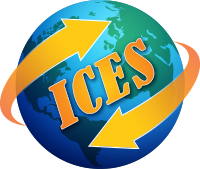 ICES offers teenagers to current and previous host families a significant discounts for the ICES Study Abroad programs. And American students participating in the ICES Global Ambassador Program will get credits towards the Outbound Program fee.